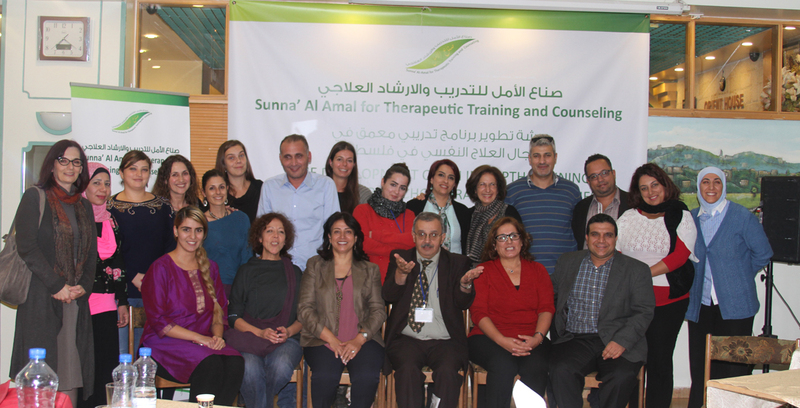 Sunna Al-Amal (Hope Makers) is an independent human rights, non-profit, and developmental organization committed to strengthening the national Palestinian mental health system and improving the mental health services provided for individual and marginalized communities in Palestine. To promote and improve mental health and psychosocial well-being for Palestinian people and marginalized communities affected by the ongoing/long-standing conflict and enhance the quality of psychosocial support through capacity building, education, research and advocacy, taking into consideration the complexities of the Palestinian humanitarian, legal and political context. Sunna Al-Amal (Hope Makers) believes that mental health is an essential part of the overall well-being of Palestinians. Therefore, we contribute to and work in line with national and global guidelines for improving mental health and psychosocial well- being among affected populations in Palestine as well as advocate for their rights. Our vision, mission, programs and relationships are defined by our Palestinian culture and the principles of international human rights law and humanitarian law. 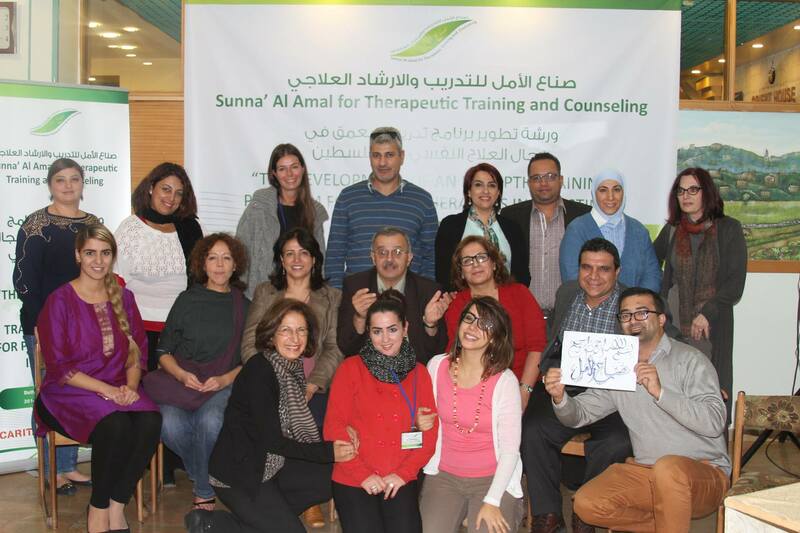 Sunna Al-Amal (Hope Makers) adopts a bottom-up strategy for social and policy change. We believe that only collective civil society action can create pressure and change in the field of mental health stresses and psychosocial support. Sunna Al-Amal sees its role mainly as a moving actor and catalyst of capacity building, awareness raising, empowerment of rights holders and advocacy. "High Diploma/Master in Psychotherapy" Program: An accredited long-term Psychotherapy clinical training program, where participants receive a higher Diploma certificate in psychotherapy. 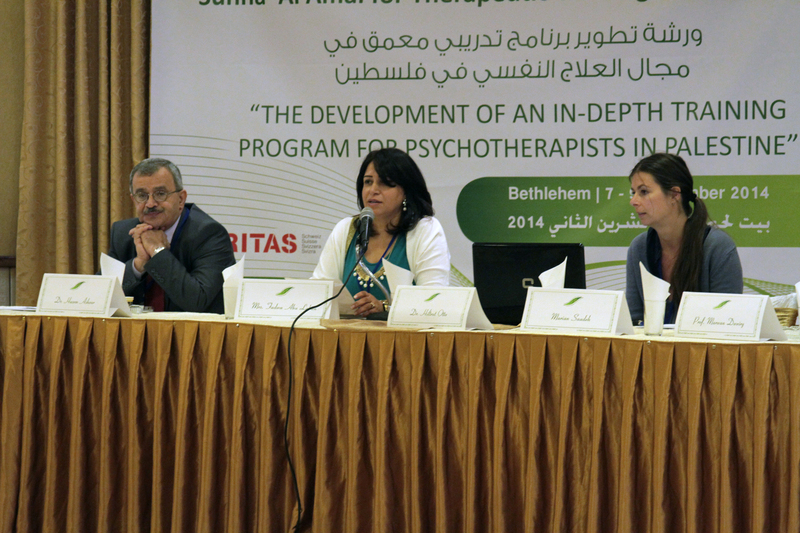 This is the first time in the Middle East that a High diploma/Masters in psychotherapy is available. The program is endorsed through a strong administrative partnership with Al-Quds University. Services delivered: for more than 2,500 people and more than 500 people targeted in marginalized areas in raising awareness sessions. In particular those who are mostly affected by the conditions of living under occupation and harsh living conditions. Supervision & Counselling: Providing counselling and team supervision to the Red Noses International (Palestine) and a number of art therapists. We are also providing group and individual supervision for 15 specialists from different districts in the West Bank from at our office in Bethlehem. We are lending a friendly ear and offering an interactive and engaging supervision, in which the supervisees are directed and geared towards enhancing self-reflection, self-awareness and development of skills and knowledge. "Women Make a Change": A unique project, which inspires women to speak up. The project aims to eliminate the stereotypes of women and defy negative assumptions. Using social media and other media tools, "Women Make a Change" empowers women and teaches them to value themselves. Internal Training Workshops: Trainees who are involved at Sunna Al-Amal's project have implemented a number of internal training workshops for the institutions, organizations and centers they are affiliated with. They held 15 training workshops in different subjects and targeted 135 workers.